Following the sudden passing of Prince late last week, we’ve seen some of the most incredible musical tributes emerge from a who’s who of the biggest names in music. The second and final weekend of Coachella saw LCD Soundsystem, Sufjan Stevens, Gallant, Ellie Goulding and others play covers of his greatest hits, whilst Stevie Wonder, Bruce Springsteen and more took the opportunity to honour Prince through both musical and non-musical tributes. Now the Smashing Pumpkins‘ Billy Corgan and Sierra Swan have joined together to play an emotional, acoustic cover of Prince’s The Cross from his album Sign O’ The Times. The Smashing Pumpkins are currently on their In Plainsong tour, and the cover was posted to Facebook by Swan herself. Watch below. 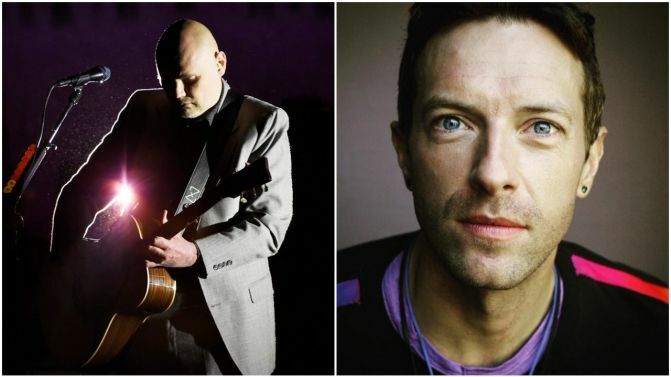 Coldplay’s Chris Martin has also joined the growing list of artists paying tribute, with a cover of Raspeberry Beret – performed at the Chords 2 Cure pediatric cancer benefit concert in Santa Monica. The video below captures Martin explaining that when he got together with the band to rehearse the track, their response was “We don’t know it, we’re like 14”. Check out the full video, below.